Wednesday, March 2, Russell House 8 p.m.
Amy Bloom is the author of two novels and two collections of short stories, and she has been a nominee for both the National Book Award and the National Book Critics Circle Award. Her stories have appeared in Best American Short Stories, The O. Henry Prize Stories, and numerous anthologies here and abroad. She has written for the New Yorker, the New York Times Magazine, and the Atlantic, among many other publications, and has won a National Magazine Award. Her new collection of short stories, Where the God of Love Hangs Out, was published in 2010. She has taught at Yale University for the last decade. She is currently Wesleyan University’s Kim-Frank Family Writer In Residence. 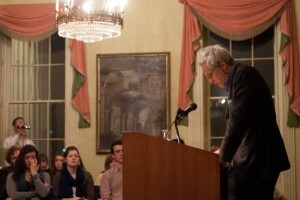 Wednesday, March 23, Russell House 8 p.m.
Wayne Koestenbaum is recognized as an important American poet, as one of the founders of queer studies, and as a wide-ranging cultural critic who crosses boundaries of literature, art,music, and popular culture. His book The Queen’s Throat: Opera, Homosexuality, and the Mystery of Desire, published in 1993, had a significant impact on the emerging fields of gender and sexuality studies, as have his groundbreaking essays in influential anthologies. Thursday, March 24, Shapiro Creative Writing Center, Room 311, noon. 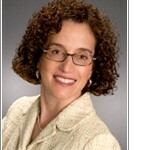 Wesleyan’s 2010-11 Koeppel Fellow in Journalism Jane Eisner is the editor of the Forward, the influential Jewish national weekly newspaper that has won numerous regional and national awards for its original journalism, in print and online. Eisner previously held executive editorial and news positions at the Philadelphia Inquirer for 25 years. She has been a senior fellow at the University of Pennsylvania’s Robert A. Fox Leadership Program as well as a fellow in the Punch Sulzberger Executive News Media Leadership Program at the Columbia School of Journalism. Her book, Taking Back the Vote: Getting American Youth Involved in our Democracy, was published by Beacon Press. Thursday, March 31, Downey House, Room 113; 4:30 p.m.
Linda Schlossberg received her Ph.D in English literature from Harvard University, where she is the Assistant Director of the Women, Gender and Sexuality Studies program. Her debut novel, Life in Miniature, published by Kensington in December 2010, offers a striking new coming-of-age story. Thursday, April 7, Russell House 8 p.m. The Writing Programs’ 2011 Jacob Julien Visiting Writer Dinaw Mengestu‘s debut novel The Beautiful Things That Heaven Bears, earned him critical acclaim for its haunting depiction of the immigrant experience in America. He was selected as a winner of the National Book Foundation’s “5 under 35” Award, the 2008 Lannan Literary Fellowship, The Guardian First Book Award in the U.K., and France’s Prix du Premier Roman Etranger. 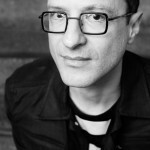 His second novel, How to Read the Air, was published this fall and has earned him further critical praise. 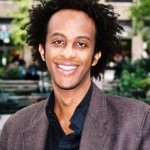 In June 2010, Mengestu was given a highly coveted spot on The New Yorker’s “20 under 40” Writers to Watch list. Wednesday, April 13, CFA Hall (Old Cinema) 8 p.m. The English Department’s 2011 Millett Writing Fellow Yusef Komunyakaa‘s numerous books of poems include Talking Dirty to the Gods, Thieves of Paradise, which was a finalist for the National Book Critics Circle Award, Neon Vernacular: New & Selected Poems 1977-1989, for which he received the Pulitzer Prize and the Kingsley Tufts Poetry Award; Magic City, Dien Cai Dau, which won The Dark Room Poetry Prize, and I Apologize for the Eyes in My Head, winner of the San Francisco Poetry Center Award. In 1999, he was elected a Chancellor of The Academy of American Poets. Yusef Komunyakaa is the Senior Distinguished Poet in the Graduate Writing Program at NYU. Support for this series is provided by Wesleyan Writing Programs, the English Department, the Annie Sonnenblick Fund, the Joan Jakobson Fund, the Jacob Julien Fund, the Millett Writing Fellow Fund, the Center for the Arts and the Shapiro Creative Writing Center. Series organizers are Anne Greene, director of Writing Programs; Elizabeth Willis, the Shapiro-Silverberg Associate Professor of Creative Writing; and Amy Bloom, the Kim-Frank Family University Writer-in-Residence. For more information, e-mail RussellHouse@wesleyan.edu or call 860-685-3448.